As a specialist training provider we offer training courses and NVQs relevant to all lifting operations. The majority of the training/NVQs we offer relates directly to construction industry recognised CPCS card scheme. The scheme is split in to two parts- the CPCS training and then the NVQ at a later date to prove competence. As the scheme is a progression, we will where possible contact the customer and candidate to advice on the next steps to keep the training up to date. We also deliver our own certification training courses which mirror the CPCS training. To comply with industry standards we will also mirror their rules in regards to storage and retention. If you have any queries relating to our use of your personal information or any other data protection questions, please contact our DPO: clairecritchley@ainscoughtraining.co.uk. In order to request our services we require for you to complete a booking form on our website. Until the booking form has been confirmed or until your course starts this information will be kept on our secure website and office. We need this information to verify your identity and ensure we locate the correct record on the system. 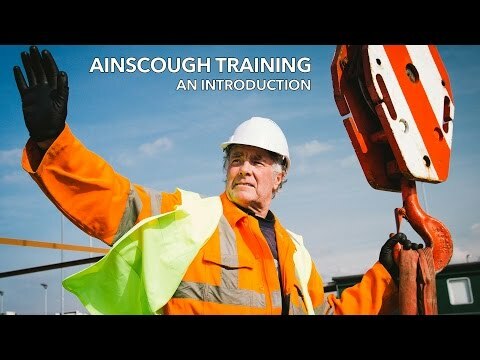 This information is shared only with CPCS and the awarding body Cskills and no other body or organisation (Ainscough Training certification will not be shared at all). We need this information to verify your identity and ensure we locate the correct record on the Cskills Awards. This information is shared only with the awarding body, Cskills Awards and CPCS (if applicable). No other body or organisation. We may also need to access your CPCS record to view your cards and qualifications so we can advise you accurately of your training needs and if you request we apply for your cards. In the event of this then we will use the information you give to us to access and share with CPCS. This information will be held on our secure database and communicated to your assessor so they can contact you to progress your NVQ. We may from time to time send you texts and emails regarding your card and NVQ to keep you updated. Once the booking has been confirmed and we have commenced delivery on the service, the details you gave us at the time of booking will be stored on our secure database and office. During the training course we will ask you for more information to complete your test pack. This is so we can verify your identity and ensure we have your correct and up to date details. It is also required by the awarding body, Cskills Awards and CPCS. These details will be held on our secure database and secure office. From time to time we may text/ call or email about your card to keep you updated of the next steps to keep your training up to date. On commencement of the NVQ we will ask you to complete your portfolio of evidence. We will ask you to confirm all your details for us to ensure we have your correct and up to date information. This information is shared only with the awarding body, Cskills Awards and CPCS (if applicable). No other body or organisation. The personal information we gather and process from you will be stored electronically on our secure website and database. Both systems are fully encrypted and password protected. They are only accessible by certain members of our team. We are required to keep CPCS paperwork for 6 years and NVQ paperwork for 3 years. During this time the paperwork will be stored in a secure and lockable archive. After this period the paperwork will be securely shredded by an outside contractor. Unless a request is made by you we will hold your details on file indefinitely so we can access your information if you ever need us to review your training needs and progression through the scheme. We will ask you to opt in to allow us to do this and you are entitled to opt out at any time after the mandatory period required by CPCS/ Cskills Awards has passed (please see 2.5 for withdrawal rights). We will not pass this information on to any other third party and will only be accessed for information purposes only. As part of our responsibilities under GDPR we are required to let you know what our lawful basis is for processing your personal information. We are required by Cskills and CPCS to gather the personal information and so we cannot process your request for our service without it. Therefore our lawful basis for obtaining your information is CONTRACT. Unless otherwise instructed by you, we will hold your personal data on our database indefinitely. This is so we can access your training record in future to advise you on your ongoing training needs. We will ask for your agreement to do this and so in this respect our lawful basis for processing your data is CONSENT. Under the data protection legislation you have the right to request a copy of the information we hold for you and have any inaccuracies corrected. For this we would require 2 forms of approved identification from you. Please contact our DPO for access requests. If you wish to request services from us then you are obliged to give us the information detailed previously. We are required to keep a record of this information for the mandatory periods stipulated by the awarding bodies previously detailed. By requesting our services you are agreeing for this is happen. However after this stipulated period you have the right to remove consent for us to hold this information. If this is the case then you would be required to complete the â€˜withdrawal of consentâ€™ form which would be available from our DPO. We would then have one month from your request to remove your data. Because we like to offer the best service possible to our customers we would like to contact you from time to time to keep you informed and keep your training up to date. By requesting services from us you are agreeing for us to do this. These notifications will generally be by email but may sometimes be texts, phone calls or postal mail. They will come in the form of reminders about the ongoing training needs of the card scheme. We may also contact you with our offers or news. You will be given the option to opt out of these notifications at any time. If you are not happy or have any questions about the way we process your data you have a right to complain. All complaints must be made to our DPO in the first instance. The Information Commissionerâ€™s Office (ICO) is responsible for governing data protection. More information about them, what they do and your rights can be found at www.ico.org.uk.